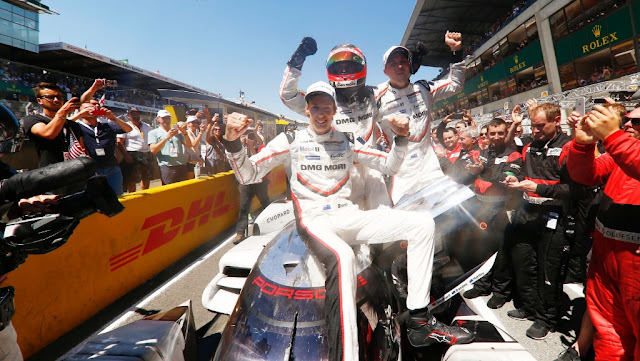 At 18:30 on Saturday evening the Le Mans 24-Hours looked over for the Porsche 919 Hybrid of Earl Bamber (NZ), Timo Bernhard (DE) and Brendon Hartley (NZ). Their car had no front axle drive anymore. It took 1.05 hours to repair, and then it rejoined the race 18 laps behind. But the 85th running of the endurance classic in Le Mans produced such dramatic changes that the impossible ultimately came true: After an enormous effort, the trio sliced through the field from 56th position to overall victory. When the number 1 sister car stopped on track soon after 11am Sunday, after having led the race for more than ten hours, the time for the hunters had arrived. Hartley's lap times continuously improved during a multiple stint. After 312 laps, he comes in for his final refuelling stop then after 325 laps he hands over the car in fourth position to Bernhard. 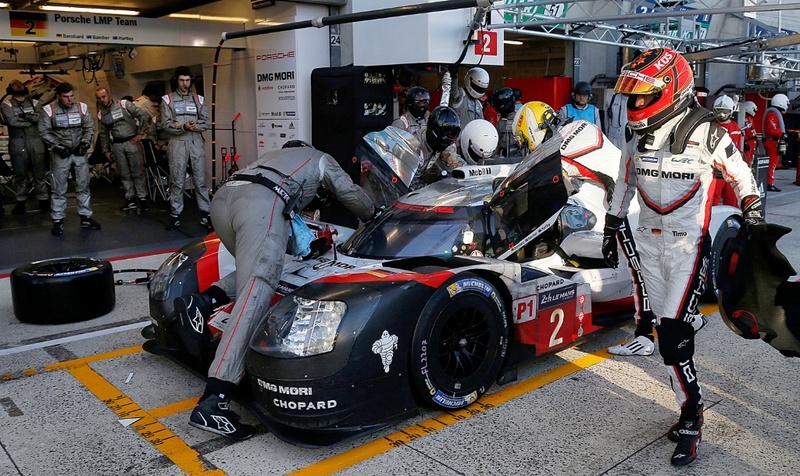 At 12:50pm, the 919 Hybrid is back on the same lap as the leading car – it is race lap 330. After all LMP1 hybrid works cars have either retired or been delayed, an LMP2 leads outright. After 338 laps Bernhard comes in for fuel and on lap 347 he takes the lead. His penultimate refuelling stop happens after 351 laps before a final splash & dash after 360 laps. After 367 laps in total Bernhard takes the chequered flag to fulfil a dream. For Le Mans record holder Porsche, it is the 19th overall win in the world’s toughest race and the third in a row meaning the German manufacturer can now keep the famous trophy.